Even though the quality of the pictures is largely determined by the photographer, people always want to know “what’s in the bag”. I’m a Canon-user. Not because Canon is better (it could be cheaper though…), but mainly because my second SLR was a Canon 300 (the first one was a Ricoh). As I already had some Canon lenses, it was for me the easiest choice to get a Canon dSLR (EOS 350D) when I changed to digital. And so far I haven’t regretted it. 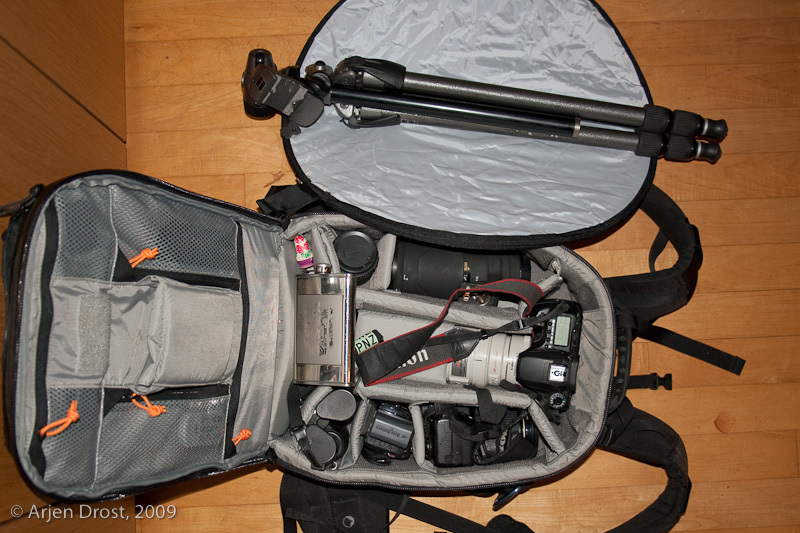 And the bag itself is a Gura Gear Kiboko 30L backpack (though the pictures shows my old Lowepro Vertex 200AW backpack).